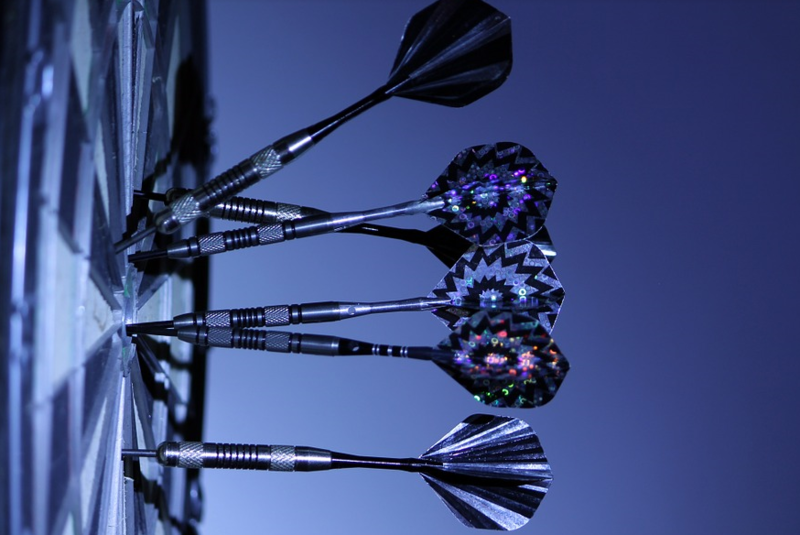 | Comments Off on Insights into Improving Forecast Accuracy through Data Science! We are all chasing the goal of predictability in achieving the most accurate forecast amid economic dynamics, supply chain constraints, individual and personal bias experiences. We also hear about how data science can help. Let’s look at some definitions as we explore how data science can impact forecast accuracy. Demand Forecasting is estimating the volume of the future demand with sales being a proxy of the demand. The demand planner uses a statistical model to get statistical forecasts based on sales history and overrides/modifies the statistical forecasts with consensus forecasts which are based from business knowledge of the demand planner. In the sales and operations planning meeting with the demand planners and managers/executives from different departments, a final decision is made regarding the use of a statistical or consensus forecast. What are the benefits of accurate and concise forecasting? If the forecast is higher than the actual sales, then there would be an excess of inventory thereby increasing the cost to store the products. If the forecast is lower than the actual sales, then the company may have difficulty to fill the order and not be able to provide the necessary quantity requested by the customer. The company will miss opportunities to sell more products and increase revenue. Data Science is the practice of formulating a hypothesis that will drive business value; defining the data and tools needed to collect and store the volume and variety of the data needed; identifying the type of analysis and performing analysis based on various statistical based algorithms like correlation analysis, statistical analysis, logistic regression and decision trees; and sharing insights from the analysis in the form of dashboard or a visualization tool. What were the business challenges our client faced? Our client faced the following challenges that needed to be addressed in the forecasting process. First, demand planners were spending a lot of time on forecasts for all products instead of allocating time to focus on the products that generate the highest sales. There was a need to identify products that the demand planner should focus on to improve the forecast performance/accuracy. Secondly, there was a need to identify when in the process forecast adjustments made by the demand planner add value and finally feedback on their forecasting performance will allow planners to make better decisions. What solution did TekLink offer? Using data science techniques, TekLink provided a Forecast Accuracy Value Add application composed of two dashboards i.e., Product Segmentation and Consensus vs Statistical forecasts. 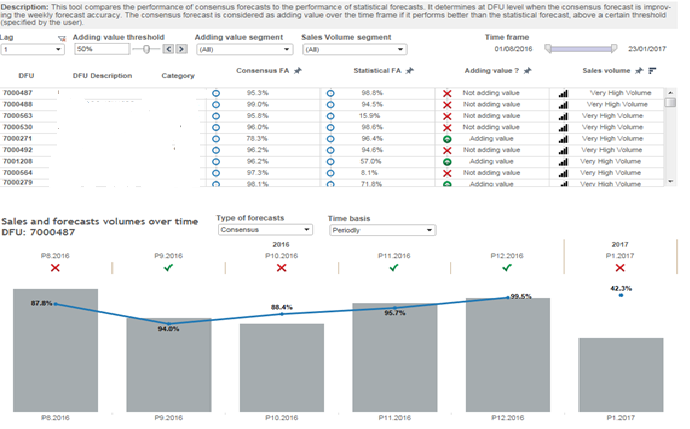 These dashboards allowed the demand planner to view forecasts using Tableau by compiling data from various sources and then computing forecast performance and measures via use of various analysis methods (see samples below). What were the outcomes and benefits? 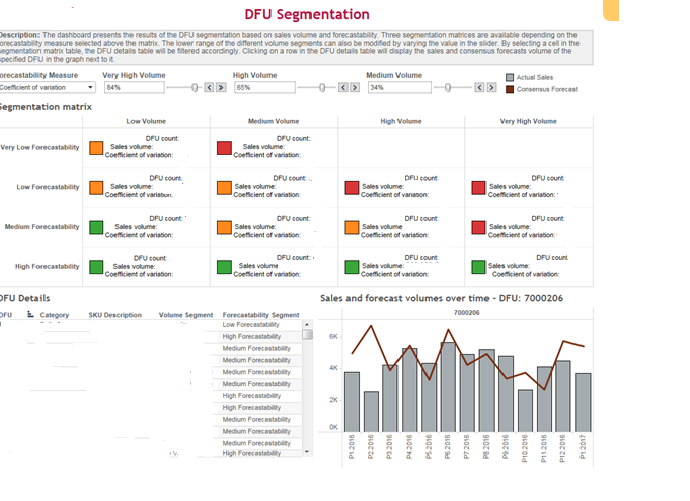 The Product Segmentation Tool drove better and quicker business decisions by helping identify the product where input from demand planners will have the most impact on improving the forecast performance. This tool avoided adding bias on products that can be easily forecasted by the statistical model. It also increased process efficiency by optimizing the time allocated by demand planners on the most valuable products. The new process created a more accurate forecast which required less intervention by demand planners. Demand planners using consensus vs statistical forecasts made better decisions by getting feedback on their forecasting performance. Through the dashboard, demand planners identified for which products, period and region, their adjustments added value to the forecasting process. They also were able to evaluate chronic conditions of under or over-forecasting which led to discussions and decisions around forward-looking forecasting. What are the client’s next steps? Analyse how much the customer service level and the write-off inventory/ inventory level have been impacted by a poor forecast performance. Click here to find more information on Big Data and Data Science at TekLink. Contact us to learn more, schedule a demo or proof of concept. We can build a pilot using your own data so you can see how forecasting accuracy can be improved with data science techniques.